" There are many names for skin tags such as acrochordons, filiform, pedunculated, papillomas, soft fibromas and fibroepithelial polyps. These skin growths are benign (harmless) and painless single or multiple small growths of tissue hanging off a connecting stalk (pedunculated from the skin's surface). Twisting can cause inflammation or tenderness. Most do not cause any problems, although they can become inflamed if caught on clothes or become scratched. When irritated they could bleed. 50% of all people will get at least one in their lifetime. 78% of patients have under 3 lesions in each area. If you decide to have them removed, they can be removed by a dermatologist with liquid nitrogen, elctrodessication, a sharp blade, or scissor Anesthesia is needed is the stalk is too thick. See a Doctor is the skin tag cannot be moved, has a color which is different than surrounding skin areas, has multiple colors, is bleeding or if the appearance has changed." A skin tag (achrochordon) is a flesh-colored small dark brown or flesh colored growth >1mm to 10mm that is immobile or attached to the skin with a stalk. It is a benign growth that can be easily removed for medical or cosmetic reasons. More common in obese people. 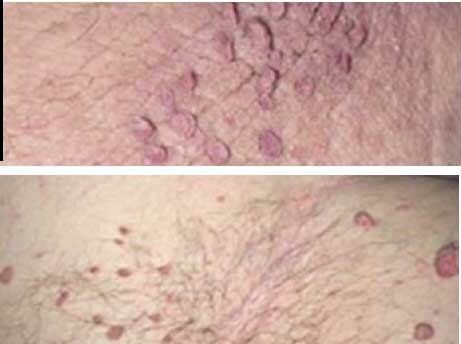 Research has speculated that there is a connection between skin tags and diabetes or colon polyps. The research has not been conclusion and more work is needed to prove the connection. They are more prevalent in women than men and appear as we age, particularly in cases where the patient is obese or has Type 2 diabetes. Some professionals believe they might be genetically inherited, although they are not certain. These lesions are usually painless unless irritated by clothing or other objects that constantly rub against them. 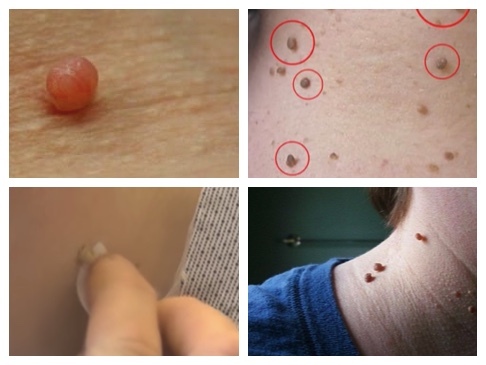 Albert William Hedgepeth, Jr. describes how are skin tags caused actually and how can one get rid of these tags in no time. It is sometimes challenging to compare a skin tag vs. mole. 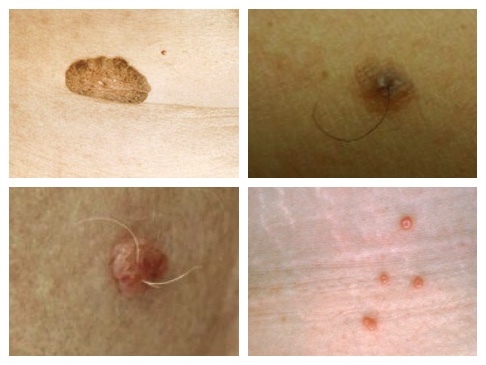 Here are similar skin lesions starting from top row left to right...pedunculated seborrheic keratosis, compound melanocytic nevus, dermal melanocytic nevus and molluscum contagiosum. Skin tags sometimes grow in number and size when pregnant. In other people, the same can happen over a long period of time. Since these unattractive skin lesions are harmless, you could leave them alone However, a dermatologist can remove them for cosmetic reasons using several methods. Cutting them off with a scalpel or scissor surgically. Used when the skin tag is larger. Freezing them off (cryotherapy): This approach freezes the skin tag using liquid nitrogen. The tags fall off in 2 to 3 weeks after treatment. 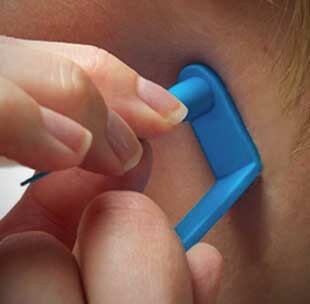 You can remove skin tags yourself (small and medium size) using a device called a Micro TagBand. There are several products you can buy over the counter to help with a skin growth problem. Naturasil Homeopathic Remedies for Skin Tags: A removal liquid that causes the tags to dry up and flake away. Apply this product topically, its made from 100% pure plant extracts. SkinPro Skin Tag Remover: Uses salicylic acid to remove the tags. You apply this product topically. Chromium Picolinate (200 mcg 2x a day): This element may impact insulin resistance which is believed to effect skin tag formation. It takes 3 months for results to occur using this approach. Talk to your Doctor before taking a Chromium supplement since it affects insulin sensitivity and blood glucose levels. Micro TagBand: works by stopping the blood supply to the skin tag. Places a cone over the tag (see video below). Guide for removing skin tags yourself. This tool makes it fast, safe and easy to remove common skin tags from your groin, neck, face or other sensitive areas.